Putative membrane topology of the P2X receptor, based on hydropathy analysis. By analogy with ENaC channels it seems possible that a pore loop is present, but as this is still only an hypothesis it has been indicated by a dashed line. Residues that are believed to line the channel pore are indicated. of pepper. In 1912, Wilbur Scoville calibrated the potency of the spice by measuring how much an extract of the pepper must be diluted until it was only barely detectable when placed on the tongue. On the Scoville scale, the relatively mild bell pepper has <1 heat units, the hotter jalapeno has 103, the fiery habanero has 105 and pure capsaicin has a massive 107 heat units. Putative membrane topology of VR1 based on hydropathy analysis. not appear to be gated by store depletion. VR1 is expressed almost exclusively, and at high density, in trigeminal and dorsal root sensory ganglia. This matches the distribution of nociceptive (pain-sensitive) neurones and is consistent with a role for the receptor in pain sensation. 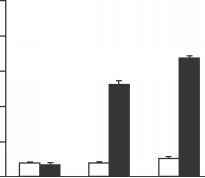 Percentage of dead cells observed 7 hr after addition of 3 uM capsaicin (black bars) or control solution (white bars) to control cells or cells expressing the vanilloid receptor VR1. From Caterina et al. (1997). consume very spicy food become desensitized to the effects of capsaicin, as well as other noxious stimuli. 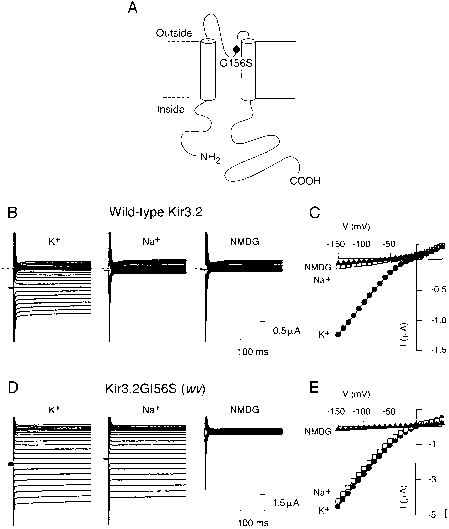 The selective destruction of nociceptive neurons may be one reason for this desensitization. Alternatively, VR1 receptors might be downregulated in some way in response to prolonged capsaicin exposure. 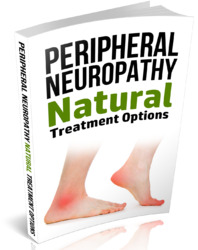 Whatever the reason, the desensitization of pain fibres by capsaicin is the basis for the use of the spice as an analgesic in arthritis and in viral and diabetic neuropathies (it is applied topically, as a cream). VR1 is activated both by pure vanilloids, such as capsaicin, and by pepper extracts. The relative potency of the pepper extracts in gating VR1 correlates well with their perceived hotness on the Scoville scale (Fig. 24.4, see color plate). The steepness of the dose-response curve suggests that the binding of more than one capsaicin molecule is required for receptor activation. One possible explanation for this cooperativity is that the channel is multimeric, like other channels which have a six TM topology: by analogy with the KV and CNG channels we may speculate that it is a tetramer (see Chapters 6 and 11). In addition to capsaicin, VR1 is activated by resiniferatoxin. This toxin is isolated from the spurge Euphorbia resinifera and is responsible for the powerful burning sensation and skin irritation induced by the milky sap of these plants. Ruthenium red and the synthetic antagonist capsazepine block capsaicin-induced responses. 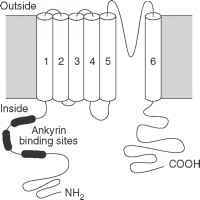 The location of the binding site for capsaicin is unknown, but because the spice is lipophilic, and therefore membrane permeant, it could act from either the outside or the inside of the membrane, or even within it. The lipophilicity of capsaicin is well known to anyone who has tried to quench the burning sensation it produces with water—all that happens is that the fire is spread around the mouth. VR1 is not only activated by capsaicin. It also is gated by heat, which may in fact serve as the physiological stimulus. In HEK cells transfected with VR1, a rapid increase in temperature induces a large inward current, with properties resembling those of capsaicin-activated currents. A similar current is also induced in sensory neurones by noxious levels of heat (Cesare and McNaughton, 1996). The ability of high temperatures to activate VR1 may explain why capsaicin is perceived as hot. Whether an endogenous ligand for VR1 also exists is an interesting question.